Happy New Year Everyone! Hopefully you are not yet frozen to the bone in this crazy cold weather and are having lots of fun in the snow! 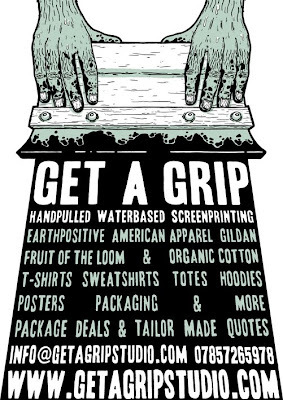 At the end of last year I produced a selection of promotional pieces for Get A Grip Studio, Birmingham based screenprinters Kay and Sam. Here is a selection of pieces, the full lot can be seen here. 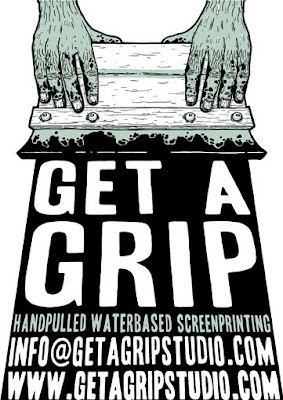 The pair can cater for nearly all your screenprinting needs and do so at a very competitive price so get over to www.getagripstudio.com and show them some love!